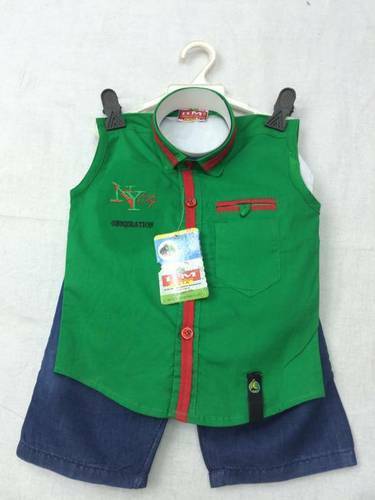 Pioneers in the industry, we offer kids party wear, casual half suit, baba suit, sleeveless baba suit, designer baba suit and jeans baba suit from India. Owing to vast industrial experience in the industry, we offer designer array ofParty Wear Baba Suitin3 pieces that are creative in looks and have Soft texture. Our entire product range is skin-friendly in nature and is easy to wash. They do not have bobbing effect and are shrink resistant in nature. Our esteemed clients always like in terms of sizes, patterns and colours along with other specifications. This set is also in high in demand among the end user. 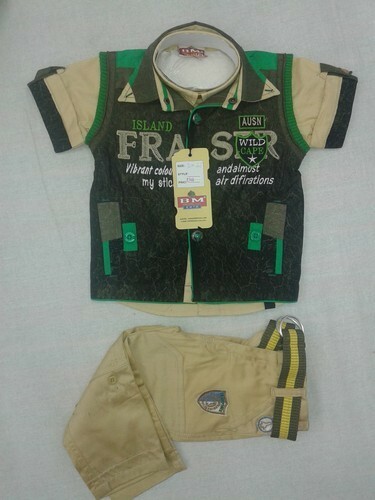 Hence this set is demandable among the exporters, traders and retailers. Quantity Per Pack 6 pcs. 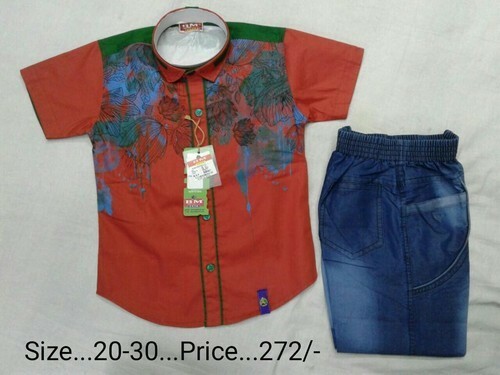 This Baba Suitcomprises of Cotton shirt with a 3Q Jeans pant made of 100% cotton, skin-friendly materials, and long lasting fabric with fine stitches. This is used for all season. 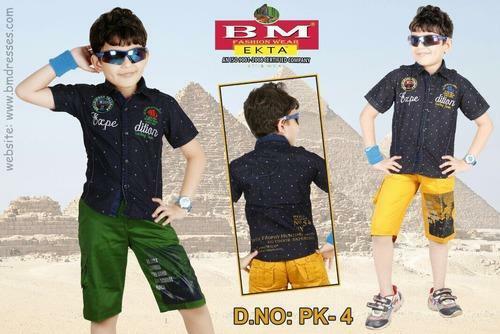 The Subtle look and premium makes it favourite dress for boys. This Subtle suit is for all season wear for kids. We have several colours available in this item. Its Simplicity and nice fabrics cause’s high demand among the Traders, Retailers, & Exporters. Jacket, half sleeve shirt & cotton 3quater pant made of 100% cotton, skin-friendly materials, and long lasting fabric with fine stitches. This is used for all season. 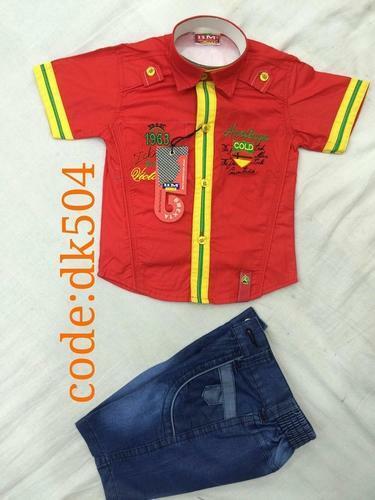 The Subtle look and premium makes it favourite dress for boys. This Subtle suit is for all season wear for kids. We have several colours available in this item. Its Simplicity and nice fabrics cause’s high demand among the Traders, Retailers, & Exporters. 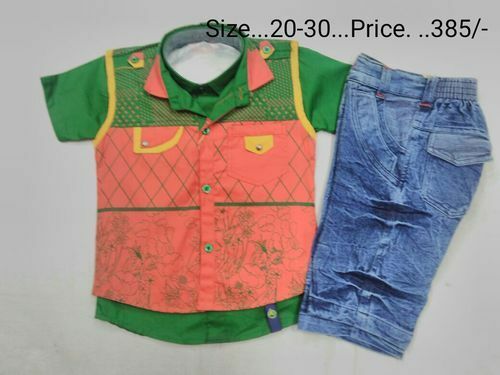 This Baba Suitcomprises of denim shirt with a cotton 3quater pant made of 100% cotton, skin-friendly materials, and long lasting fabric with fine stitches. This is used for all season. 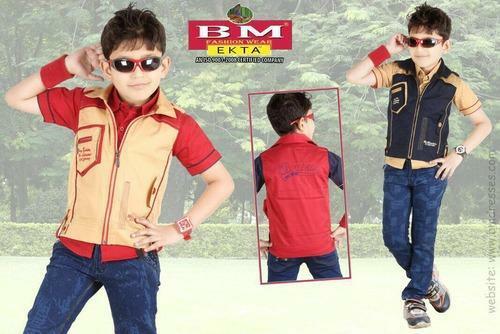 The Subtle look and premium makes it favourite dress for boys. This Subtle suit is for all season wear for kids. We have several colours available in this item. Its Simplicity and nice fabrics cause’s high demand among the Traders, Retailers, & Exporters.